Evolution Aircraft offers “digital kit” aircraft designed using aerodynamic modeling to produce a kit aircraft that can be assembled by an owner-builder in 1500 hours or less. Recently, Evolution Aircraft completed extensive performance and noise testing confirming the performance improvements of the new Hartzell five-blade composite swept tip constant speed prop for their Turbine Evolution aircraft. This new 82.5-inch diameter five-blade propeller is available as an optional performance upgrade in place of the four-blade Hartzell aluminum propeller that comes standard on the Turbine Evolution. This new propeller is available for both new aircraft kits and as an upgrade for the 65 Turbine Evolutions already clocking flight hours. While the new propeller has an additional blade, we engineered it so it’s actually 3.5 pounds lighter than the four-blade aluminum propeller, including the spinner and the de-ice. Pairing Hartzell true carbon fiber propeller blades with the Turbine Evolution’s all carbon fiber airframe resulted in huge performance gains and improved climb rate. Testing performed by Elite Pilot services compared the performance of the four-blade aluminum prop with Hartzell’s new five-blade structural composite propeller. Pilot and CFI Sean E. VanHatten with Elite Air Services conducted the flight performance comparisons, and found that equipping the new propeller resulted in a three knot increase in cruise speed and a 144 feet per minute increase in climb rate in the Turbine Evolution. In short, this new technology gives pilots the ability to fly faster at higher altitudes – and to reach that altitude more quickly. 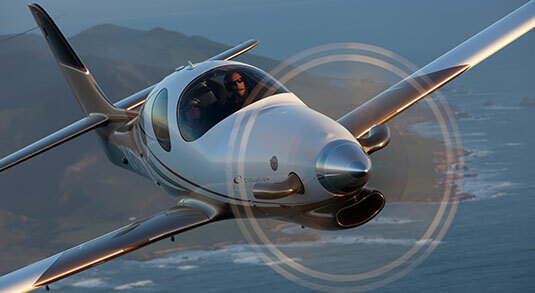 Find out more about Evolution Aircraft and the Turbine Evolution here.